Garden Theory: Sewing again: Thanks Mum. Dead mum's sewing machine. I've had these shorts with a hole in the pocket for about 3 years. 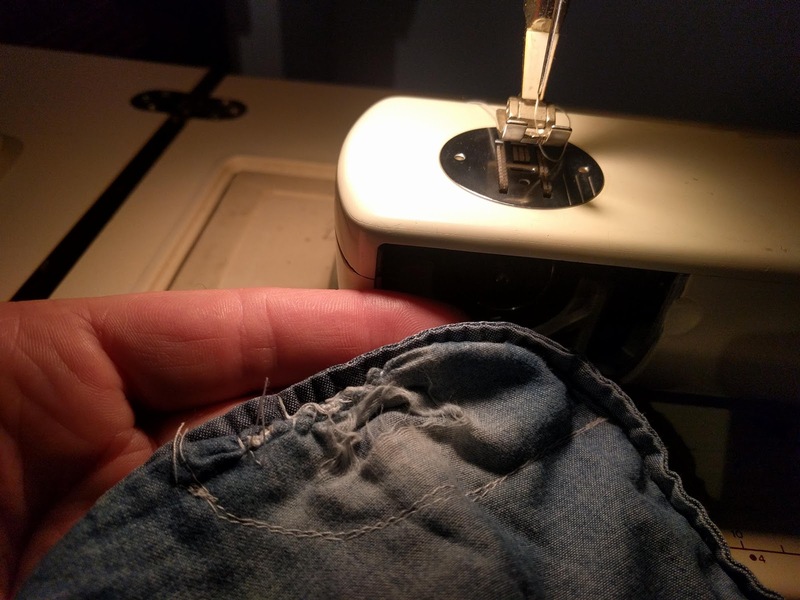 Now that Mum's sewing machine is back in service I have been able to provide my own tight arse solutions to some of my everyday problems.